T. Ishiyama and A. Morita, Computational Analysis of Vibrational Sum Frequency Generation Spectroscopy, The Annual Review of Physical Chemistry, Vol. 68, (2017) pp.1-22. T. Ishiyama, D. Terada, and A. Morita, Hydrogen-Bonding Structure at Zwitterionic Lipid/Water Interface, The Journal of Physical Chemistry Letters, Vol.7, (2016), pp.216-220. T. Ishiyama, A. Morita, and T. Tahara, Molecular Dynamics Study of Two-Dimensional Sum Frequency Generation Spectra at Vapor/Water Interface, The Journal of Chemical Physics, Vol.142, (2015), p.212407 (13 pages). T. Ishiyama, T. Imamura, and A. Morita, Theoretical Studies of Structures and Vibrational Sum Frequency Generation Spectra at Aqueous Interfaces, Chemical Reviews, Vol.114, pp.8447-8470 (2014). T. Ishiyama and A. Morita, A Direct Evidence of Vibrationally Delocalized Response at Ice Surface, The Journal of Chemical Physics, Vol.141, (2014), p.18C503. T. Ishiyama, S. Fujikawa, T. Kurz, and W. Lauterborn, Nonequilibrium Kinetic Boundary Condition at the Vapor-Liquid Interface of Argon, Physical Review E, Vol.88, p.042406 (16pages) (2013). S. Kishinaka, A. Morita, and T. Ishiyama, Molecular Structure and Vibrational Spectra at Water/Poly(2-methoxyethylacrylate) and Water/Poly(methyl methacrylate) Interfaces : A Molecular Dynamics Simulation Study, The Journal of Chemical Physics, Vol.150, (2019), p.044707 (15 pages). L. Wang, L. Xin, T. Ishiyama, Q. Peng, S. Ye, and A. Morita, Microscopic Investigation of Ethylene Carbonate Interface: A Molecular Dynamics and Vibrational Spectroscopic Study, Acta Phys. Chim. Sin.,Vol.34, (2018), pp.1124-1135. T. Ishiyama, S. Shirai, T. Okumura, and A. Morita, Molecular Dynamics Study of Structure and Vibrational Spectra at Zwitterionoic Lipid/Aqueous KCl, NaCl, and CaCl2 Solution Interfaces, The Journal of Chemical Physics, Vol.148, (2018), p.222801 (12 pages). R. Kusaka, T. Ishiyama, S. Nihonyanagi, A. Morita, and T. Tahara, Structure at the Air/Water Interface in the Presence of Phenol: A Study by Heterodyne-Detected Vibrational Sum Frequency Generation and Molecular Dynamics Simulation, Physical Chemistry Chemical Physics, Vol.20, (2018), pp.3002-3009. Y. Otsuki, T. Sugimoto, T. Ishiyama, A. Morita, K. Watanabe, and Y. Matsumoto Unveiling Subsurface Hydrogen-Bond Structure of Hexagonal Water Ice, Physical Reveiw B, Vol.96, p.115405 (14pages) (2017). L. Wang, T. Ishiyama, and A. Morita, Theoretical Investigation of C-H Vibrational Spectroscopy. 2. Unified Assignment Method of IR, Raman and SFG Spectra of Ethanol, The Journal of Physical Chemistry A, Vol.121, (2017), pp.6701-6712. L. Wang, T. Ishiyama, and A. Morita, Theoretical Investigation of C-H Vibrational Spectroscopy. 1. Modeling of Methyl and Methylene Groups of Ethanol with Different Conformers, The Journal of Physical Chemistry A, Vol.121, (2017), pp.6687-6700. N. Yasoshima, M. Fukuoka, H. Kitano, S. Kagaya, T. Ishiyama, and M. Gemmei-Ide, Diffusion-Controlled Recrystallization of Water Sorbed into Poly(meth)acrylates Revealed by Variable Temperature Mid-infrared Spectroscopy and Molecular Dynamics Simulation, The Journal of Physical Chemistry B, Vol.121, (2017), pp.5133-5141. K. Saito, Q. Peng, L. Qiao, L. Wang, T. Joutsuka, T. Ishiyama, S. Ye, and A. Morita, Theoretical and Experimental Examination on SFG Polarization Analysis at Acetonitrile-Water Solution Surfaces, Physical Chemistry Chemical Physics, Vol.19, (2017), pp.8941-8961. A. Kundu, S. Tanaka, T. Ishiyama, M. Ahmed, K. Inoue, S. Nihonyanagi, H. Sawai, S. Yamaguchi, A. Morita, and T. Tahara, Bend Vibration of Surface Water Investigated by Heterodyne-Detected Sum Frequency Generation and Theoretical Study: Dominant Role of Quadrupole, The Journal of Physical Chemistry Letters, Vol.7, (2016), pp.2597-2601. K. Inoue, T. Ishiyama, S. Nihonyanagi, S. Yamaguchi, A. Morita, and T. Tahara, Efficient Spectral Diffusion at the Air/Water Interface Revealed by Femtosecond Time-Resolved Heterodyne-Detected Vibrational Sum Frequency Generation Spectroscopy, The Journal of Physical Chemistry Letters, Vol.7, (2016), pp.1811-1815. T. Iwahashi, T. Ishiyama, Y. Sakai, A. Morita, D. Kim, and Y. Ouchi, Liquid/Liquid Interface Layering of 1-butanol and [bmim]PF6 Ionic Liquid: A Nonlinear Vibrational Spectroscopy and Molecular Dynamics Simulation Study, Phys. Chem. Chem. Phys., Vol.17, (2015), pp.24587-24593. 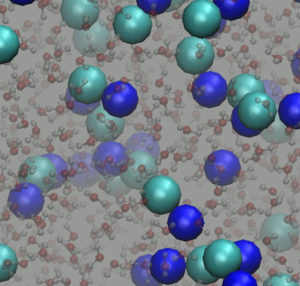 T. Ishihara, T. Ishiyama and A. Morita, Surface Structure of Methanol/Water Solutions via Sum-Frequency Orientational Analysis and Molecular Dynamics Simulation, The Journal of Physical Chemistry C, Vol.119, (2015), pp.9879-9889. T. Imamura, T. Ishiyama, and A. Morita, Molecular Dynamics Analysis of NaOH Aqueous Solution Surface and the Sum Frequency Generation Spectra: Is Surface OH- Detected by SFG Spectroscopy?, The Journal of Physical Chemistry C, Vol.118, (2014), pp.29017-29027. S. Sakaguchi, T. Ishiyama, and A. Morita, Theory and Efficient Computation of Differential Vibrational Spectra, The Journal of Chemical Physics, Vol.140, (2014), p.144109 (13 pages). A. Yamakata, E. Soeta, T. Ishiyama, M. Osawa, and A. Morita, Real-Time Observation of the Destruction of Hydration Shells, The Journal of the American Chemical Society, Vol.135, Iss.40, (2013), pp.15033-15039. D. Suzuoka, H. Takahashi, T. Ishiyama, and A. Morita, Development of a Methodology to Compute Solvation Free Energies on the Basis of the Theory of Energy Representation for Solutions Represented with a Polarizable Force Field, The Journal of Chemical Physics, Vol.137, (2012), p.214503 (10 pages). T. Ishiyama, H. Takahashi, and A. Morita, Origin of Vibrational Spectroscopic Response at Ice Surface, The Journal of Physical Chemistry Letters, Vol.3, (2012), pp.3001-3006. T. Ishiyama, Y. Sato, and A. Morita, Interfacial Structures and Vibrational Spectra at Liquid/Liquid Boundaries: Molecular Dynamics Study of Water/Carbon Tetrachloride and Water/1,2-Dichloroethane Interfaces, The Journal of Physical Chemistry C, Vol.116, Iss.40, (2012), pp.21439-21446. 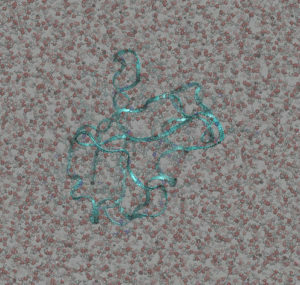 T. Ishiyama, H. Takahashi, and A. Morita, Molecular Dynamics Simulations of Surface-Specific Bonding of the Hydrogen Network of Water: A Solution to the Low Sum-Frequency Spectra, Physical Review B, Vol.86, p.035408 (10pages) (2012). T. Kawaguchi, K. Shiratori, Y. Henmi, T. Ishiyama, and A. Morita, Mechanisms of Sum Frequency Generation from Liquid Benzene: Symmetry Breaking at Interface and Bulk Contribution, The Journal of Physical Chemistry C, Vol.116, Iss.24, (2012), pp.13169-13182. T. Imamura, Y. Mizukoshi, T. Ishiyama, and A. Morita, Surface Structures of NaF and Na2SO4 Aqueous Solutions: Specific Effects of Hard Ions on Surface Vibrational Spectra, The Journal of Physical Chemistry C, , Vol.116, Iss.20, (2012), pp.11082-11090. N. Kikkawa, T. Ishiyama, and A. Morita, Molecular Dynamics Study of Phase Transfer Catalyst for Ion Transfer through Water-Chloroform Interface, Chemical Physics Letters, Vol.534, (2012), pp.19-22. T. Ishiyama, H. Takahashi, and A. Morita, Vibrational Spectrum at Water Surface: A Hybrid Quantum Mechanics/Molecular Mechanics Molecular Dynamics Approach, The Journal of Physics: Condensed Matter, Vol.24, (2012), p.124107 (7 pages). T. Iwahashi, Y. Sakai, D. Kim, T. Ishiyama, A. Morita, and Y. Ouchi, Nonlinear Vibrational Spectroscopic Studies on the Ionic Liquid([Cnmim]TFSA (n=4,8))/Water Interfaces, Faraday Discussions, Vol.154, (2012), pp.289-301. T. Ishiyama, A. Morita, and T. Miyamae, Surface Structure of Sulfuric Acid Solution Relevant to Sulfate Aerosol: Molecular Dynamics Simulation Combined with Sum Frequency Generation Measurement, Physical Chemistry Chemical Physics, Vol.13, (2011), pp.20965-20973. S. Nihonyanagi, T. Ishiyama, T-K. Lee, S. Yamaguchi, M. Bonn, A. Morita, and T. Tahara, Unified Molecular View of Air/Water Interface Based on Experimental and Theoretical χ(2) Spectra of Isotopically Diluted Water Surface, The Journal of the American Chemical Society, Vol.133, Iss.42, (2011), pp.16875-16880. T. Ishiyama and A. Morita, Molecular dynamics simulation of sum frequency generation spectra of aqueous sulfuric acid solution, The Journal of Physical Chemistry C, Vol.115, Iss.28, (2011), pp.13704-13716. T. Ishiyama, V. V. Sokolov, and A. Morita, Molecular dynamics simulation of liquid methanol. II. Unified assignment of infrared, raman, and sum frequency generation vibrational spectra in methyl C-H stretching region, The Journal of Chemical Physics, Vol.134, (2011), p.024509 (11 pages). 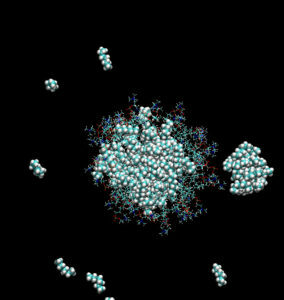 T. Ishiyama, V. V. Sokolov, and A. Morita, Molecular dynamics simulation of liquid methanol. I. Molecular modeling including C-H vibration and fermi resonance, The Journal of Chemical Physics, Vol.134, (2011), p.024510 (18 pages). T. Ishiyama and A. Morita, Analysis of Anisotropic Local Field in Sum Frequency Generation Spectroscopy with the Charge Response Kernel Water Model, The Journal of Chemical Physics, Vol.131, (2009), p.244714 (17 pages). T. Ishiyama and A. Morita, Vibrational Spectroscopic Response of Intermolecular Orientational Correlation at Water Surface, The Journal of Physical Chemistry C (Letter), Vol.113, Iss.37, (2009), pp.16299-16302. A. Morita and T. Ishiyama, Recent Progress in Theoretical Analysis of Vibrational Sum Frequency Generation Spectroscopy, Physical Chemistry Chemical Physics, Vol.10, Iss.38, (2008), pp.5801-5816. T. Ishiyama and A. Morita, Molecular Dynamics Analysis of Interfacial Structures and Sum Frequency Generation Spectra of Aqueous Hydrogen Halide Solutions, The Journal of Physical Chemistry A, Vol.111, Iss.38, (2007), pp.9277-9285. T. Ishiyama and A. Morita, Molecular Dynamics Study of Gas-Liquid Aqueous Sodium Halide Interfaces II. Analysis of Vibrational Sum Frequency Generation Spectra, The Journal of Physical Chemistry C, Vol.111, Iss.2, (2007), pp.738-748. T. Ishiyama and A. Morita, Molecular Dynamics Study of Gas-Liquid Aqueous Sodium Halide Interfaces I. Flexible and Polarizable Molecular Modeling and Interfacial Properties, The Journal of Physical Chemistry C, Vol.111, Iss.2, (2007), pp.721-737. T. Ishiyama and A. Morita, Intermolecular Correlation Effect in Sum Frequency Generation Spectroscopy of Electrolyte Aqueous Solution, Chemical Physics Letters, Vol.431, (2006), pp.78-82. T. Ishiyama, T. Yano, and S. Fujikawa, Kinetic Boundary Condition at a Vapor-Liquid Interface, Physical Review Letters, Vol.95, 084504. (2005). T. Ishiyama, T. Yano, and S. Fujikawa, Molecular Dynamics Study of Kinetic Boundary Condition at an Interface between a Polyatomic Vapor and Its Condensed Phase, Physics of Fluids, Vol.16, No.12, (2004), pp.4713-4726. T. Ishiyama, T. Yano, and S. Fujikawa, Molecular Dynamics Study of Kinetic Boundary Condition at an Interface between Argon Vapor and Its Condensed Phase, Physics of Fluids, Vol.16, No.8, (2004), pp.2899-2906. 石山達也 "液体界面の構造，分光，輸送の理論研究" Mol. Sci., Vol.9, A0076, (2015). 石山達也，藤川重雄 "エアロゾル粒子表面と気泡壁での蒸発・凝縮" ながれ, Vol.34, pp.41-46, (2015). 石山達也，藤川重雄 "蒸発・凝縮への分子動力学の適応(平面状界面)：分子気体力学境界条件" ながれ, Vol.33, pp.299-306, (2014). 石山達也， "氷表面から発生する振動スペクトル応答の起源：分子動力学シミュレーションとQM/MM計算から得られる知見" 分子シミュレーション学会アンサンブル, Vol.15, No.3, pp.179-185, (2013). 石山達也， "表面分子が描く和周波発生スペクトル：イオンは水溶液界面で安定に存在するか？" 分子シミュレーション学会アンサンブル, Vol.9, No.1, pp.21-25, (2007).